Welcome home. 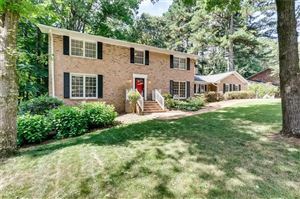 Located on one of the most walkable streets in Decatur and in the heart of Oakhurst, this 5 bed/4 bath home has all the bells and whistles. Built using the NGBS, highlights include the high efficiency HVAC and spray foam.The interior has hardwoods throughout, great natural light and an open floorpan. The kitchen includes custom cabinetry w/ quartz countertops, tile backsplash, and a built in breakfast nook.The huge master features two built in closets with custom shelving and the bath has a sep tub/shower and double vanity.This will go fast!Go and show! Listing provided courtesy of Wilcher Properties Group, LLC.